This is my first proper post of this new record of my investigations and as such, perhaps an introduction. I have, for the past 15 years, been a paramedic. I have worked for several NHS trusts and been located half the length of the country in that time. Now, I am retired from the service. I have seen too much, I have seen how the medical profession has changed from help at all costs to help if the budgets allow! I was not happy with this provision of emergency medicine. But, the clincher came in January. I was called to a shout in the centre of a seaside town and popular resort, I did all I could for the patient, but her wounds were just too much and she had already gone. The girl was 19 years old, she, by all accounts was bright and had such a promising future. I watched as the light in her eyes left her. It was later that night I learned from a friend in the police force that they had arrested a suspect in that girls murder. I couldn’t believe that they had done so so fast. But even a cursory glance at the CCTV was enough to incriminate him. He was arrested and held in custody until questioning. What were the chances that out of all the crews on duty it would be me that was called to attend and verify his death. No one could explain how he died, even months later the coroner ruled it natural causes, but I suspect differently. We received the shout a little after 5 am. We were winding down, the revellers had all gone home, it was a time we traditionally caught up on the paperwork, made the referrals for the non conveyances and started to think of the 07:30 home time. The call came through to attend the station, reported disposition was suicide. We attended. I confirmed the death of the suspect and it was when I left the station that I noticed those eyes looking at me through the pale blue light of the pre dawn, that strange type of light that was neither dark, nor light but awash of blue that preceded the dawn. She stood there watching me load my kit, I glanced in her direction and she smiled and vanished. Gone, but it was definitely her! The official cause of his death was heart failure, but I can tell you now it was fright, that poor girl got her revenge. This is just one of a hundred different stories that I have experienced in my time. Maybe over the coming months I will share others. There is no point in me denying that I am a believer, because let’s face it I am 100%. But, I am determined to approach my new career as objectively and as skeptically as I possibly can. I shall now discuss my first investigation and my approach. In the heart of the Jurassic coast stands a castle that is attributed to the gothic revival, and in the 1920’s burnt down! 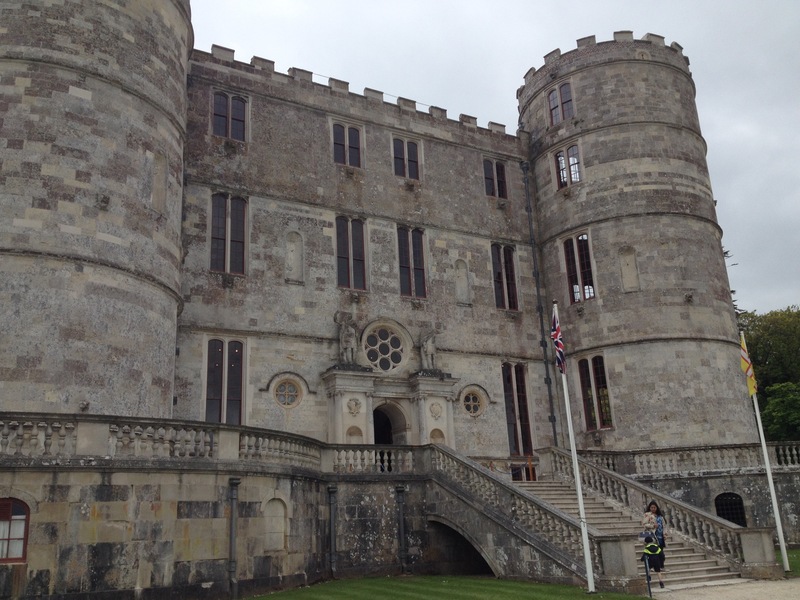 Lulworth castle is a fantastically imposing site, yet it was never intended to be a castle, in the proper meaning, it was never a fortress to defend lands or people. It was a status symbol. In 1929 fire ravaged through the castle destroying it completely. There is one particular story that interests me, that is the story of the Gary lady. The following passage is taken verbatim from the guidebook of the castle. I am fascinated by the stories of the Grey Lady. It appears so often, nearly every old family, old house/estate seems to have a ghost of a lady that appears shrouded in grey cloth. It happens so often that it is now the perennial go to legend for a country house. But, what is the history behind these sightings. Often they are linked with tragedy, and the Weld family certainly had that in 1929 not just the fire but before. Tragedy followed tragedy that ended in the fire that ultimately ruined the castle. Stick a figurative pin into a map of estates and I can almost guarantee that, that estate will be plagued by a Grey Lady. I have been granted permission to make a scientific study of the castle and the grounds. I have one week to do so. I will be in the castle overnight in order to conduct a thorough study. I shall bore you no longer about the details of the investigation. Tomorrow, I shall report on the events of this evening, I shall record and publish the first nights study.